That’s the opening pitch for Flight, the new experience from UK production company Darkfield which promises to be both unsettling and disorientating. It’s also said to be unsuitable for those who are pregnant, claustrophobic, under 15, or suffer heart or back conditions. So don’t say you weren’t warned. The fact that Darkfield duo Glenn Neath and David Rosenberg are the same team who created last year’s scream-inducing Fringe show Séance offers a good indication of what participants can expect from this experience, which will have its Australian premiere in the GOUD from February 15. 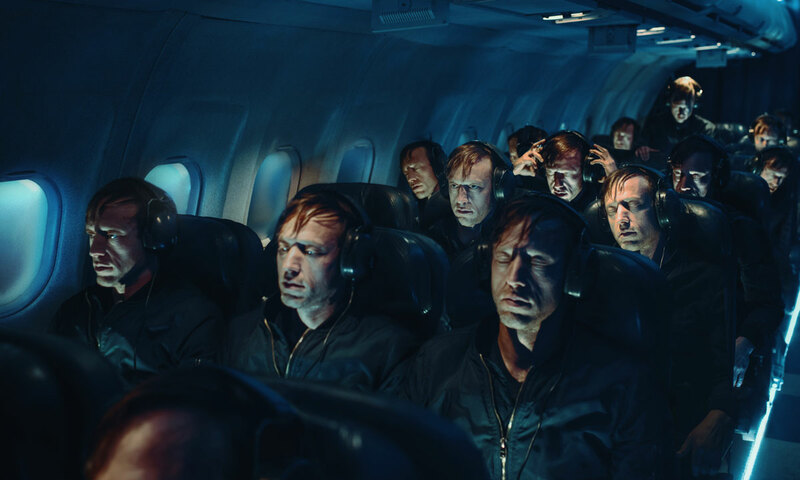 “It’s very different to Séance, although it employs the same technique of binaural sound and complete darkness,” says Nathan Alexander, producer of Melbourne-based Realscape Productions, which is presenting Flight in Australia. “This time, participants will find themselves on a Boeing 737 rather than contacting the spirits. Alexander says the producers have gutted an old Boeing 737 that was “lying dormant” in Alice Springs, using items such as the window panels, seats and overhead lockers to replicate a plane within a 40-foot shipping container. The 33 participants – or passengers – will be issued with boarding passes and what one Scottish reviewer described as “Kafkaesque” safety cards. “Flight attendants” are also on board for the experience, which explores what is described as the Many-Worlds Interpretation of quantum mechanics that asserts other worlds might exist in parallel with our own. As with Séance (which is also returning to the Garden this Fringe), everyone will wear noise-cancelling headphones, with the use of binaural technology resulting in a disorientating 3D listening experience where different sounds fuel psychological fears. “Sound plays a big part in the show and there are a lot of new technical challenges – we have to persuade people to believe they are in a plane 35,000 feet in the air,” Alexander says. Each show lasts for 30 minutes, and Alexander is not prepared to give too much more away except to say that it could be an opportunity for people who are scared of flying – like himself – to challenge those fears. After flying to Scotland to experience it himself at the Edinburgh Fringe, he then had to turn around and fly back to Melbourne. “I was a bit of a nervous wreck, but it’s such a unique experience. Flight will be in the Garden of Unearthly Delights from February 15 until March 17 during the Adelaide Fringe.